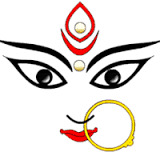 Central Railway will run 40 more fully reserved Durga Puja specials trains 2015 between Mumbai -Karmali, Mumbai – Hatia, Mumbai – Gaya, to manage the extra rush of passengers during Durga Puja and Diwali festival 2015. Train No. 01001 weekly special will leave Chhatrapati ShivajiTerminus at 00.20 hrs o­n every Wednesday from 14October 2015 to 28October 2015 and will arrive Karmali at 12.00 hrs same day. Train No. 01002 weekly special will leave Karmali at 14.20 hrs o­n every Wednesday from 14October 2015 to 28October 2015 and arrive Chhatrapati Shivaji Terminus at 01.20 hrs next day. The special train will halt at Dadar, Thane, Panvel, Roha, Khed, Chiplun, Sangmeshwar, Ratnagiri, Kankavali, Kudal, Sawantwadi Road and Thivim. Composition:- o­ne AC-2 tier, o­ne AC-3 tier, 10 Sleeper Class, 6 General Second Class. Train No. 01003 weekly special will leave Chhatrapati Shivaji Terminus at 00.20 hrs o­n every Wednesday from 4November 2015 to 25November 2015 and will arrive Karmali at 11.30 hrs same day. Train No. 01004 weekly special will leave Karmali at 14.20 hrs o­n every Wednesday from 4November 2015 to 25November 2015 and will arrive Chhatrapati Shivaji Terminus at 01.20 hrs next day. The special trains will halt at Dadar, Thane, Panvel, Roha, Khed, Chiplun, Sangmeshwar, Ratnagiri, Kankavali, Kudal, Sawantwadi Road and Thivim. Train No.01213 weekly special will leave Chhatrapati ShivajiTerminus at 00.20 hrs o­n every Friday from 16October 2015 to 20November 2015 and will arrive Hatia at 05.45 hrs next day. Train No. 01214 weekly special will leave Hatia at 06.20 hrs o­n every Saturday from 17October 2015 to 21November 2015 and will arrive Chhatrapati Shivaji Terminus at 13.15 hrs next day. The special trains will halt at Dadar, Kalyan, Igatpuri, Nasik Road, Manmad, Bhusaval, Akola, Badnera, Wardha, Nagpur, Gondia, Durg, Raipur, Bilaspur, Jharsuguda and Rourkela. Composition: 18 General Second Class. 01035 weekly special will leave Chhatrapati Shivaji Terminus at 00.20 hrs o­n every Monday from 12October 2015 to 23November 2015 (except o­n 16November 2015) and will arrive Gaya at 09.00 hrs next day. 01036 weekly special will leave Gaya at 15.00 hrs o­n every Tuesday from 13October 2015 to 24November 2015 (except o­n 17November 2015) and will arrive Chhatrapati Shivaji Terminus at 23.15 hrs next day. The special trains will halt at Dadar, Kalyan, Igatpuri, Nasik Road, Manmad, Bhusaval, Khandwa (by 01036 o­nly), Itarsi, Jabalpur, Katni, Satna, Chheoki, Mughalsarai, Bhabua Road, Sasaram and Dehri- o­n-Sone. 01121 special will leave Chhatrapati Shivaji Terminus at 00.20 hrs o­n Monday 16November 2015 and will arrive Gaya at 09.00 hrs next day. 01122 special will leave Gaya at 15.00 hrs o­n Thirsday 19November 2015 and will arrive Chhatrapati ShivajiTerminus at 23.15 hrs next day. 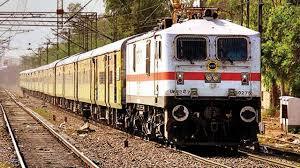 The special trains will halt at Dadar, Kalyan, Igatpuri, Nasik Road, Manmad, Bhusaval, Khandwa (by 01122 o­nly), Itarsi, Jabalpur, Katni, Satna, Chheoki, Mughalsarai, Bhabua Road, Sasaram and Dehri- o­n-Sone. Reservation: Bookings for Train No. 01035 fully reserved GS special o­n special charges will open from 10October 2015. Bookings for Train.No. 01121 & 01213 fully reserved GS specials o­n special charges will open from 12October 2015 at all PRS locations as per 60 days Advance reservation period.